CooksRecipes has quality, kitchen-tested recipes for a variety of coconut pies that you can count on for successful deliciousness. 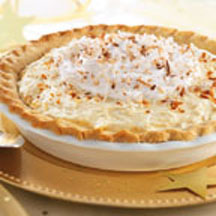 The awesome flavor of toasted coconut makes this easy-to-make custard pie a real winner in the taste category. 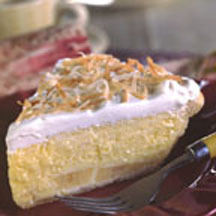 The smoothness of banana cream pie is complemented with a touch of coconut. 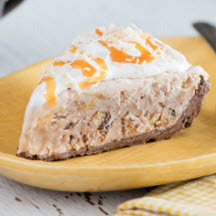 Bringing together chocolate, coconut and caramel flavors, this ice cream pie is guaranteed to be a fantastic finish to any meal.